Product prices and availability are accurate as of 2019-04-15 05:58:22 UTC and are subject to change. Any price and availability information displayed on http://www.amazon.com/ at the time of purchase will apply to the purchase of this product. 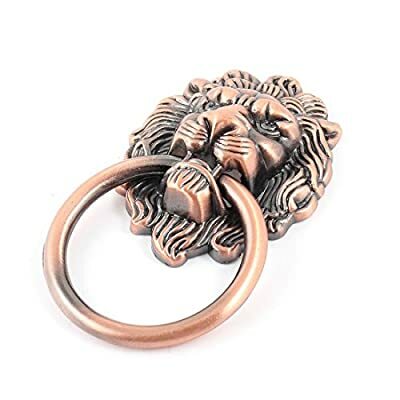 Copper Tone metal round door pull handle, features lion head plate design and screw mounting, ring pull handle, antique style. Compact size, classical and artistic, wonderful pull handle replacement for your old or broken ones. Widely used for home furniture, window, cabinet, closet door, dresser, drawer, cupboard, etc.